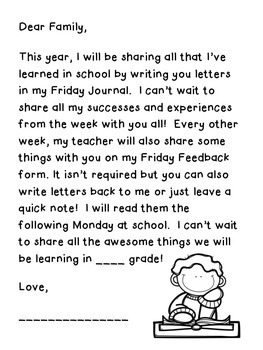 Friday Feedback is a way to enhance parent communication. 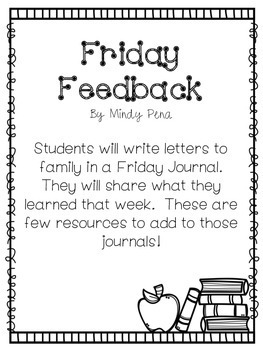 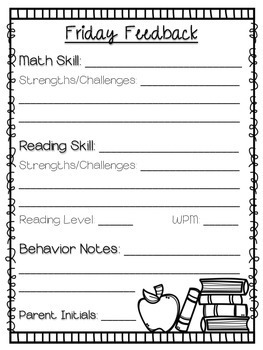 Students will use journals to write letters to family members about what they learned that week (as seen on Diary of a Not So Wimpy Teacher's blog). 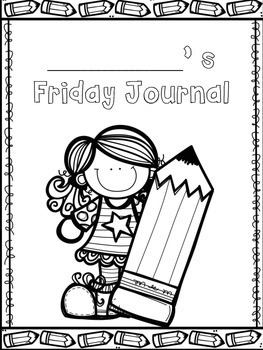 Friday Feedback Forms can be included in journals as often as you'd like (weekly, bi-weekly, monthly) to give parents more detailed information about their child's progress.